Here’s a first – Portslade’s photo competition. 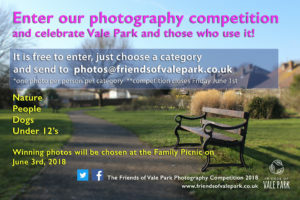 Join in and take some snazzy shots of our park and enter into our competition. Choose one of the categories and make sure that you’ve got your entry/ies in before the community picnic on June 3rd. What are you waiting for go out and get snapping! Enter your email below to subscribe to our newsletters with latest updates.